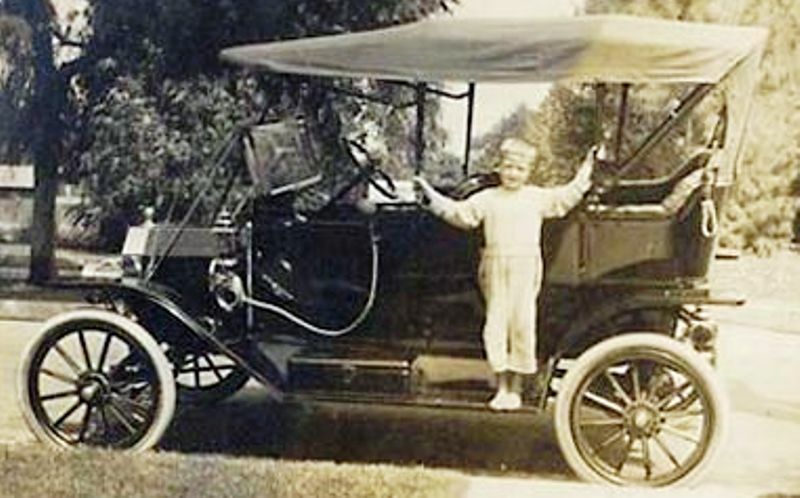 Model T Ford Forum: 1912 touring top question. 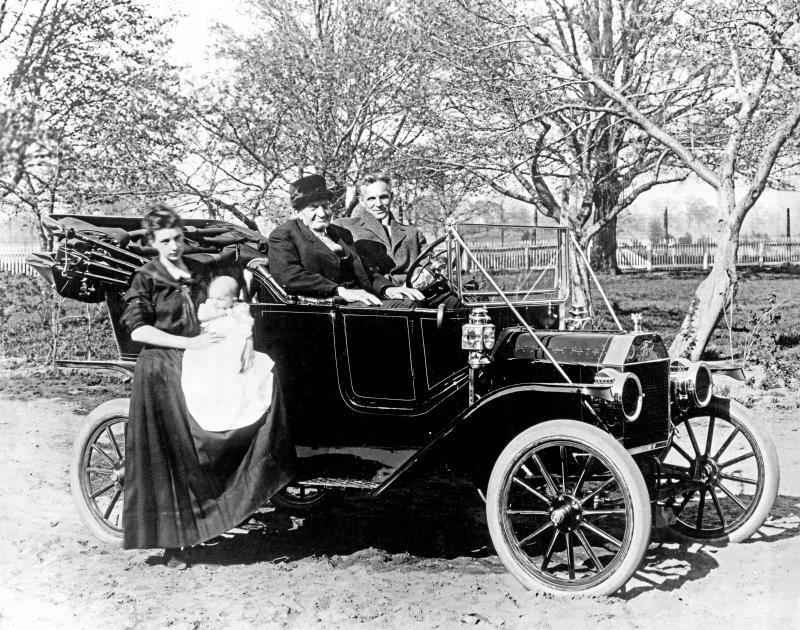 Model T Ford Forum: Forum 2012: 1912 touring top question. The straps sometimes attached to the headlight forks, other times to the eyelet brackets. 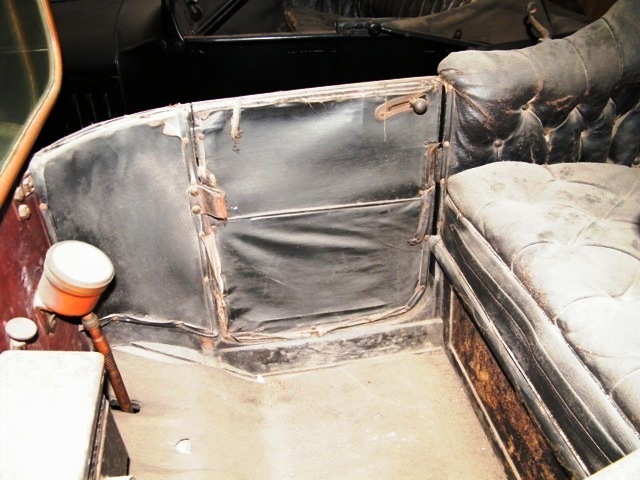 Either way, always near the bottom of the radiator for all of the 1912 model year, in all of the various body configurations that had folding tops. I've seen them both ways. 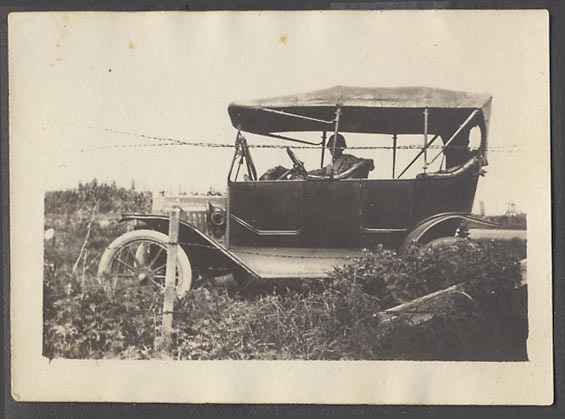 If you zoom in around the windshield hinge you car see the loop for the top strap. The loop can se seen on this one, too. 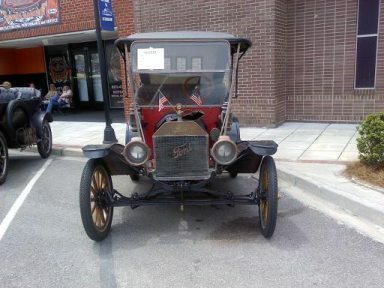 Here's a picture of a 1912 with the windshield mount top strap bracket. 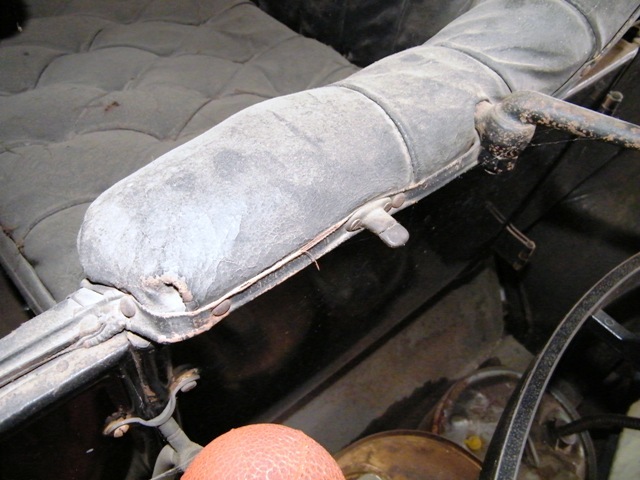 It appears to me the horn tubing was moved inside about the same time the top straps were changed? 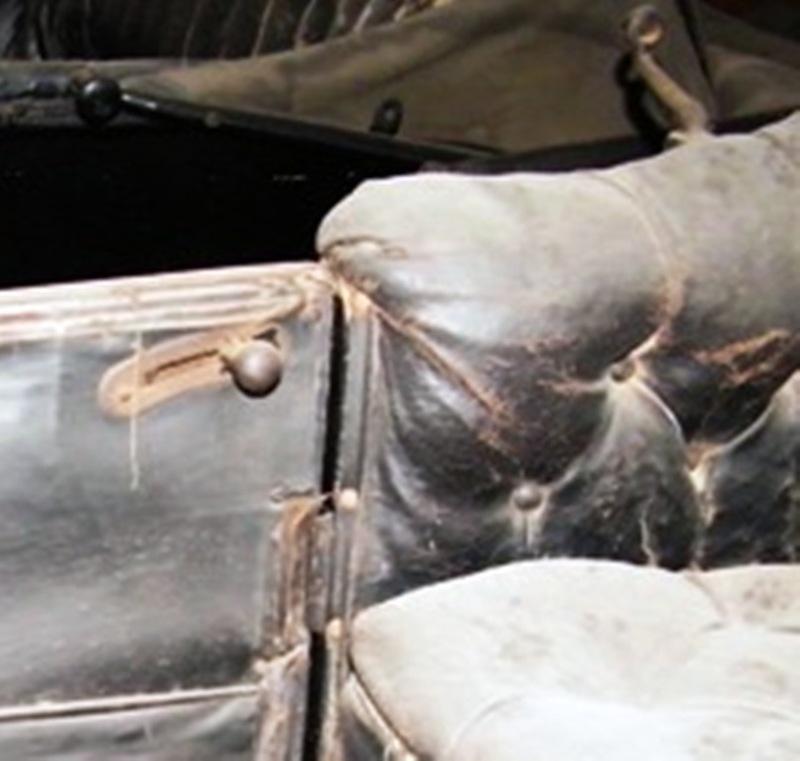 oops, you are correct, the very late 1912 tourings did have the improved top strap location on the end of the windshield supports. 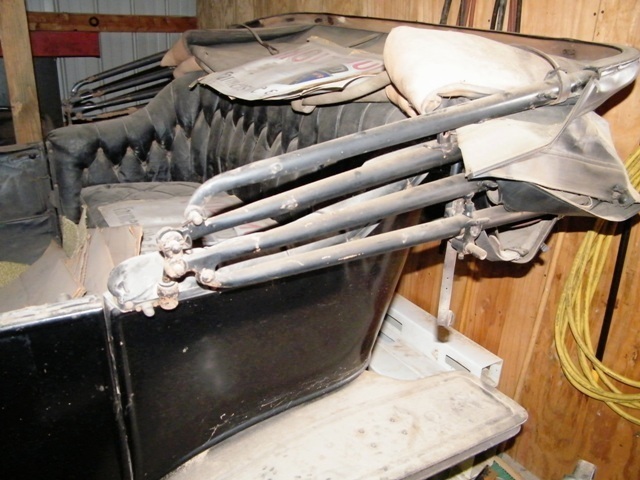 The picture immediately above Larry's post is of a 1912 with original paint which has a double twist horn and outside mounting of the bulb. It would seem to answer Larry's question before he asked it. 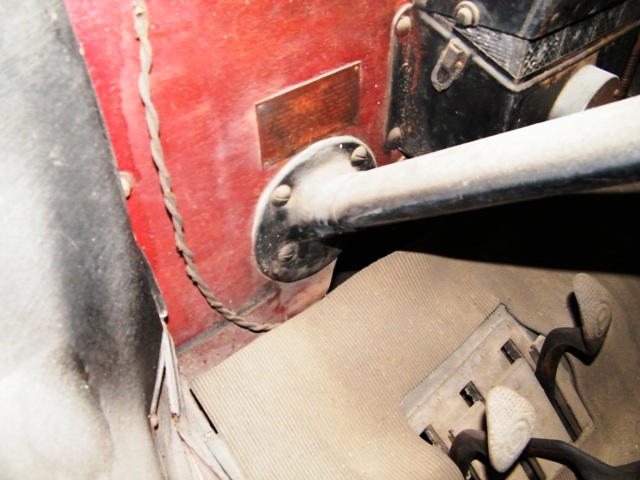 With that particular location of the horn mounting bracket, it would certainly make removing the "removable" fore-doors impractical. Larry- I guess I never paid attention to the horn tube location. The two square nuts on the side of the dummy door look like they might match up with the horn bracket. 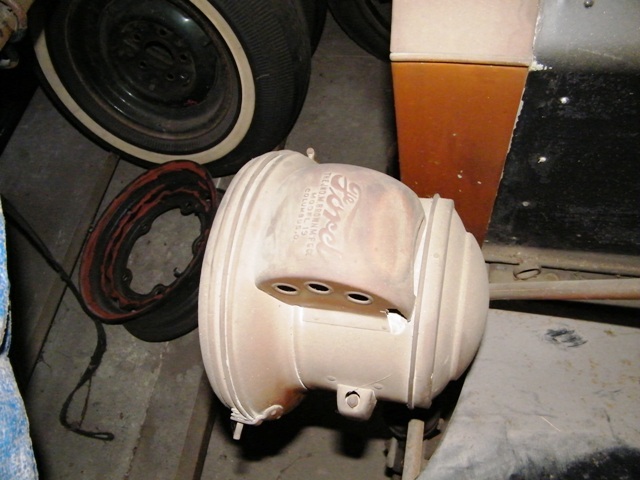 Royce, could the born bracket have been mounted there, (or on the inside?) then when the screw pulled out, re-attached with a couple of bolts and nuts? 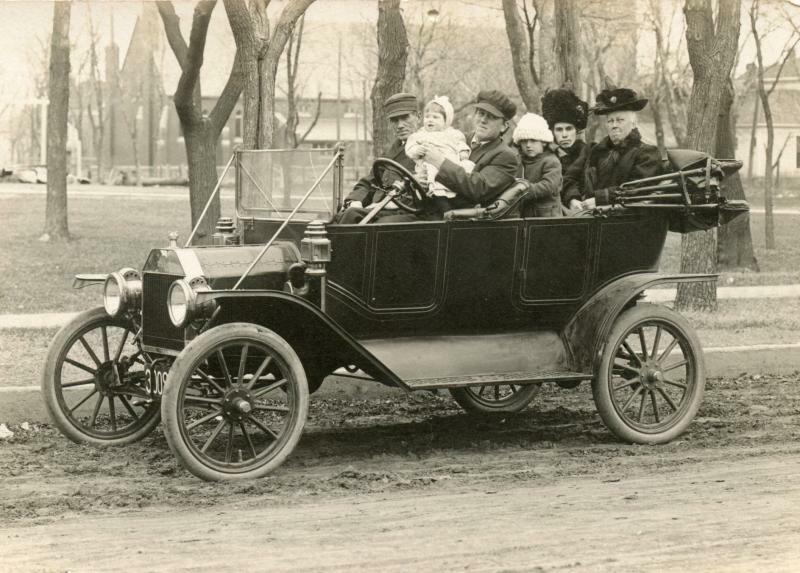 The engine in the car was a later one, so no telling what the serial number was originally. The horn bulb bracket had been moved, and obviously the horn bulb replaced with a red one from an old turkey baster. 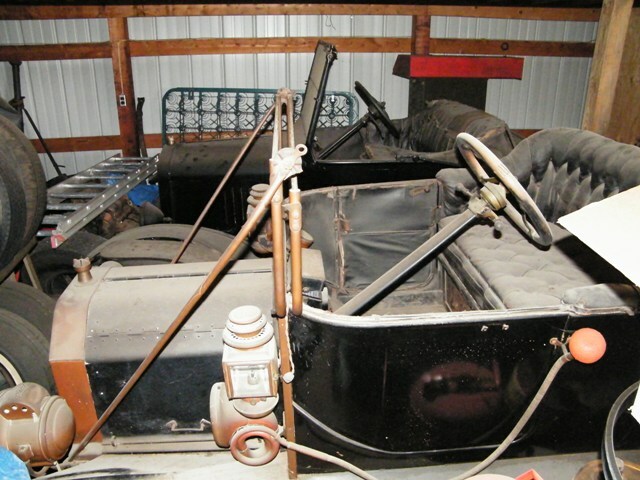 This was one of those cases where a man had collected a half dozen nice original collector cars and was "going to restore them some day" but never did. His kids wouldn't sell any of them after he passed away either.